Bring thrill and adventure to the spring school holidays this September with screen-free outdoor fun at Mega Adventure, Australia’s premier aerial park in West Beach. Climbers who book their SkyChallenge ticket online these school holidays will receive a free* phone pouch to take photos as they make their way through the crossings. 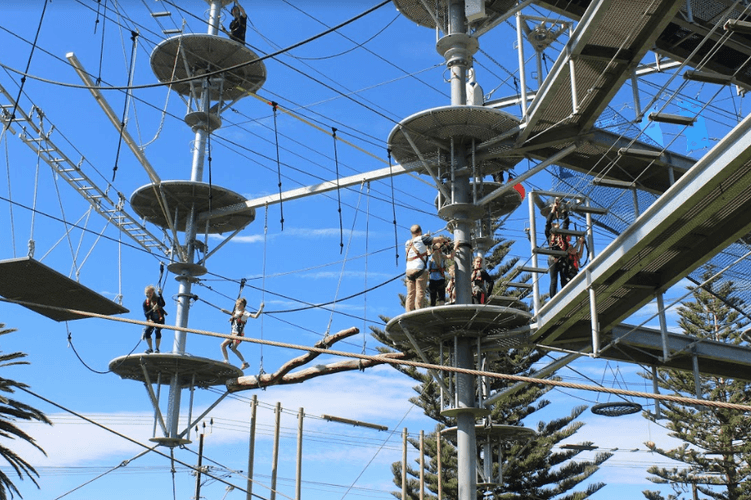 Visit Adelaide’s leading climbing course which boasts more than 80 aerial crossings, a free-fall jump and the latest addition, the Crows Nest—a 30-metre, near-vertical climb. Mega Adventure Parks have operated internationally for almost a decade and invests heavily in safety, training and equipment to ensure adults and children are thoroughly taken care of. Tickets can be purchased at the park or online at Mega Adventure website.